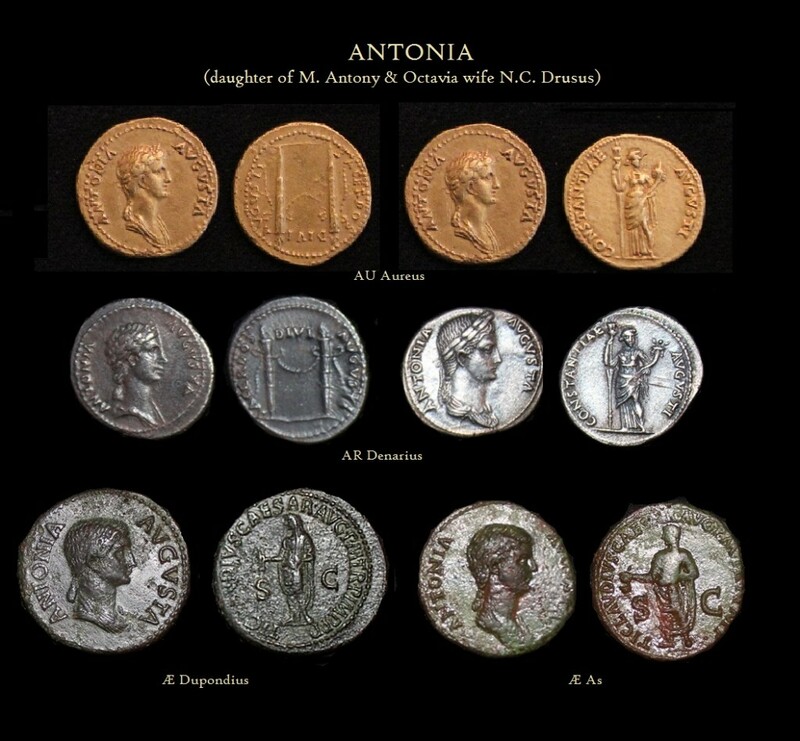 Antonia the Younger was the daughter of Mark Antony and Octavia. Together, the couple produced two daughters, both of whom were named Antonia. 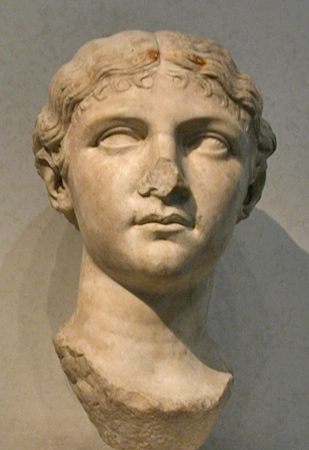 The younger Antonia was born about 36 BC. Antonia was a woman of renowned character who had a reputation for honor and dignity. She married Nero Claudius Drusus, the brother of the EmperorTiberius and son of Livia, in 16 BC. Antonia was very much devoted to her husband. She gave birth to several children among whom were Germanicus, future Emperor Claudius and a daughter named Livilla. Her husband died in 9 BC and while Roman law prescribed that all widows should remarry, Augustus, out of respect for her devotion to her husband, freed her of that obligation. Antonia lived her life at court as a Roman matron. Her elder sister Antonia, although overshadowed by her younger sister, married L. Domitius Ahenobarbus. They had a child named C. Domitius Ahenobarbus who in turn was eventually the father of the future Emperor Nero. Therefore, in their own ways, both Antonias contributed to the Julio-Claudian dynasty. Antonia the younger spent most of her time in Rome or at her estate in Bauli. She was perhaps the closest friend of Livia who was the wife of Augustus and her mother-in-law. Antonia was never one who sought power but instead was quite supportive of the Emperor Tiberius who was also her brother-in-law. Antonia was the one person at court who worked hard to keep order among the often divided personal interests within the Julio-Claudian family. Following Tiberius’ rise to the throne, the conflicts between Antonia’s son Germanicus and Tiberius often placed her in the role mediator. After the death of Germanicus in 19 AD, she tended to side with Tiberius and Livia against Agrippina (the Elder) who was the wife of Germanicus and her daughter-in-law. Antonia stood by and watched as the party of Germanicus was later expunged by Tiberius without getting involved. When it came to a sinister plot developing in Rome, Antonia did get very much involved. She became quite concerned with the increasing power of Lucius Aelius Sejanus, the prefect of the Praetorian Guard. It was Sejanus who was the chief ruler of the state as well as the chief executioner in the name of Tiberius. Sejanus had a eye for not merely power but to take the thrown. In the plot to fulfill his ambitions, he murdered Drusus the Younger who was the son of Tiberius and the husband of Antonia”s daughter Livilla. The power and corruption of Sejanus became widespread in Rome. Finally, in 31 AD, Antonia sent a letter to Tiberius warning about Sejanus. Tiberius immediately believed the warning, which demonstrates the integrity that he respected in this woman. Tiberius began to hatch his own scheme that would end by bringing Sejanus to justice where he was put to death. The co-conspirator with Sejanus was none other than Antonia’s own daughter Livilla, who had been Sejanus’s mistress. Apicata, the former wife of Sejanus, implicated Livilla in the murder of her own husband Drusus the Younger. It appears as though Sejanus intended to marry Livilla thus gaining access to the royal family and then on to the rank of Emperor. What is interesting is that Tiberius never moved against Livilla mostly out of respect for Antonia. Nonetheless, Dio tells us that Antonia personally imprisoned Livilla, who then either starved to death or killed herself. 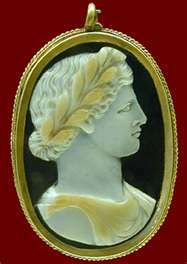 In 29 AD, Antonia’s daughter-in-law Agrippina was banished to the island of Pandataria for plotting against Tiberius. Agrippina eventually died there in 33 AD. Antonia, at a rather late age in life, then took the orphaned grandchildren Gaius Caligula and Drusilla in her own care. Caligula never forget Antonia’s kindness in that matter and upon his rise to the throne, granted Antonia the title of Augusta. Antonia lived long enough to see the madness of Caligula. While honored at first, she soon fell out of favour. Shortly thereafter, it is believed that Antonia committed suicide or may have been poisoned on the order of the Emperor Caligula. Note: All the coins bearing her name and portrait were struck under her son, the emperor Claudius (41-54 AD).